Aircraft maintenance stands just make life easier. A modern aircraft needs plenty of high quality attention if it is going to keep flying in our friendly skies. It is up to the maintenance and repair crews to give each aircraft and rotor craft the attention it needs. 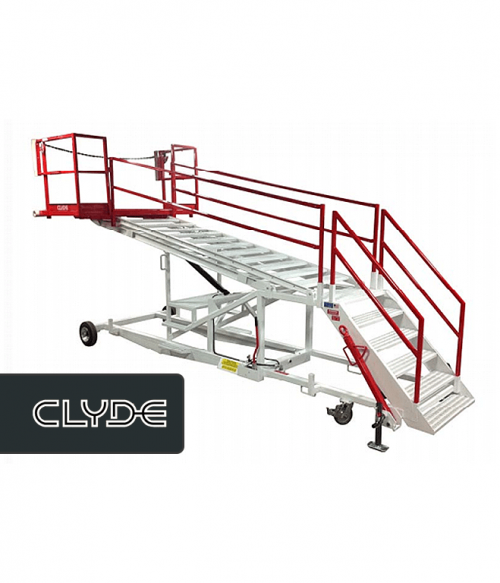 With the best aircraft maintenance platforms at their disposal, your personnel can be more effective than ever before. 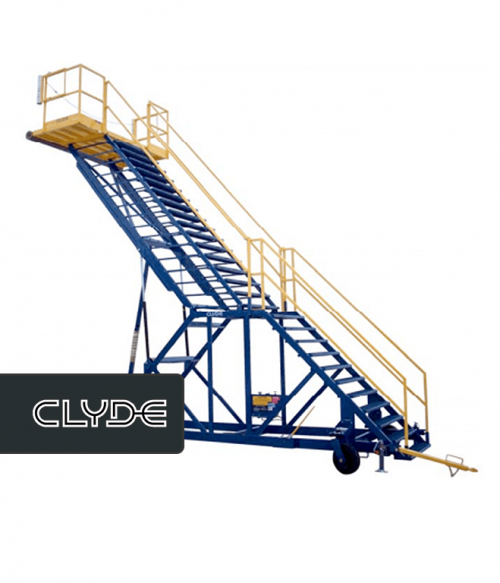 There are a wide variety of maintenance stands that can be assembled to assist with aircraft and rotor craft inspection, maintenance, or repair. Aircraft-specific maintenance stands are a good solution if you tend to service one specific type of aircraft, such as a Boeing 737. 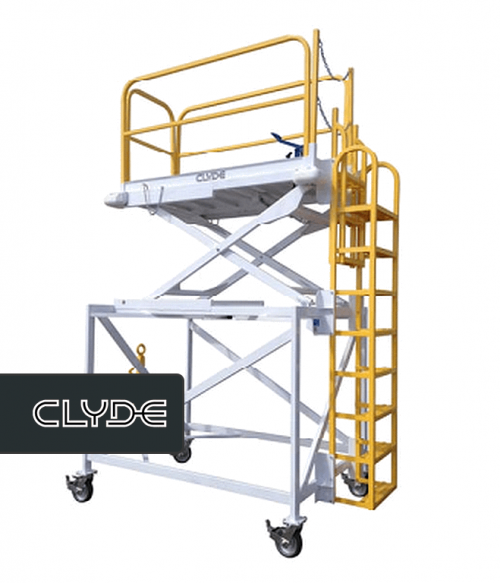 Component-specific maintenance platforms, such as an aircraft tail platform, allows personnel to safely access specific areas without the need to use truck-based lifts or other equipment. 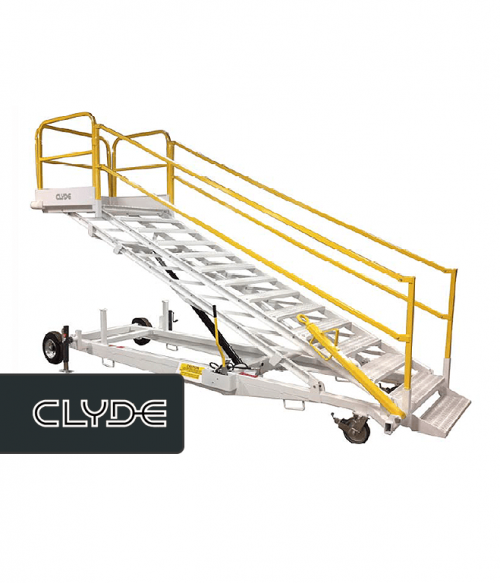 Customized aircraft platforms allow you to create the specific access solutions you need for your responsibilities, from wheel access on up to whole aircraft solutions. 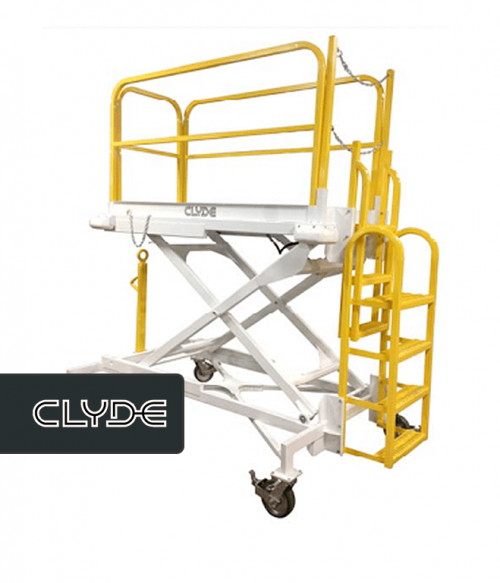 At Factory Equipment, we put a focus on the B-Series aircraft maintenance stands, crew stands, and vertical mast lifts. These are often the most affordable solutions that can meet a wide variety of needs for a majority of the organizations in our industry today. 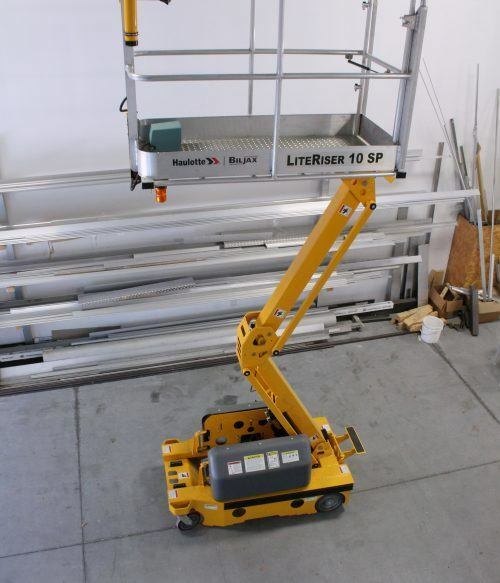 If one of these solutions doesn’t meet 100% of your needs, then our team can create a high quality aircraft maintenance stand that meets all safety standards. Only the best manufacturing processes and equipment are used to design and create the specific solution you may need. If you need access solutions for your aircraft, then let our team help you find the best possible option to meet your inspection, maintenance, or repair needs. Contact us today to discuss what your needs may be so that together we will be able to improve your access and productivity right away.